As I write this issue, I'm trying my best not to scratch my very itchy body! I seem to have developed hives and, I believe, histamine intolerance, which I will be discussing with my functional medicine practitioner on Monday when I see her next. Itchiness that is so bad it causes you to draw blood or even bruise yourself because you're scratching so hard, seems quite common among us thyroid patients. I see questions asking about it daily on my group. Despite the itching taking up a lot of my time and patience, I completed my Life Coaching Diploma last week as I get another qualification under my belt. I’m hoping it will help develop me more as a writer and thyroid advocate, in terms of helping people improve their mental health, outlook and stability when going forward in addressing their physical health. It’s so important to look after both. We often can’t get better in physical health until we’re also fostering good mental health. Speaking of which, if you haven't seen on social media yet, I'm developing a 'thyroid course' with Nadha at Thyroid Transitions. It is still in the early stages as we work on an outline for what is included, but the aim is to create a course that those with hypothyroidism can complete to understand their health more and learn about what they can do to improve it. It will include both thyroid information and education to improve your physical health and knowledge, as well as practical tips and resources for better mental health and wellbeing. We want to equip more thyroid patients with not only knowledge on hypothyroidism, but also tools for mentally thriving with it too. If you’re interested in providing feedback on an early version, please drop me an email at Invisiblehypothyroidism@gmail.com and you’ll be contacted when it is available to test-drive and provide feedback on. You can also now see the filming I did for Medichecks, here. Why Aren't Doctors Prescribing T3 Medication? Patients in the UK say their lives are being ruined because their doctors are no longer prescribing them liothyronine (T3) for hypothyroidism. Fellow UK thyroid patient and advocate, Paul Robinson, had me guest blog on his website Recovering with T3. 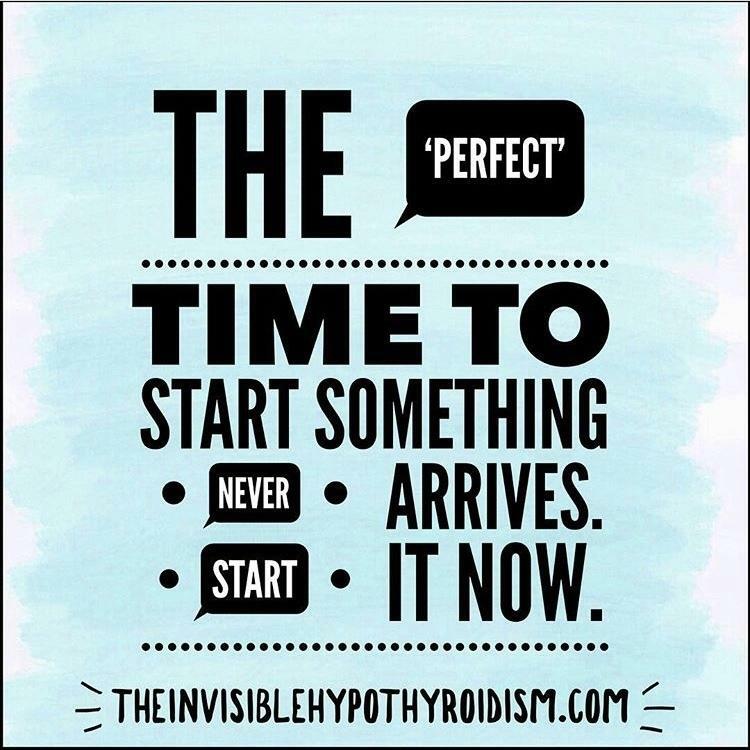 I speak about my own journey with first signs of hypothyroidism and Hashimoto’s, eventual diagnosis and then issues with getting properly treated. January is International Thyroid Awareness Month. Hear Victoria's personal truths, from The Butterfly Effect Blog. When Hashimoto’s patient Kristine reached out to me over email to share her story, I knew a lot of you would relate to her experience and will benefit hearing her story, too. Could a Thyroid Supplement Help Your Symptoms? Are you getting all the vitamins and minerals needed to support optimal thyroid health and function? Dr. Henderson goes through the fundamentals of Hashimoto’s, with the patient insight and experiences provided alongside by Allison Futterman, a person living with Hashimoto’s. I have been granted permission to share an excerpt from the book, in order to give you even more of an idea on whether it could help you. Don't forget that I am also on twitter. Join me over there for regular tweets on thyroid related news, articles and blogs. As thyroid patients, we may struggle to truly convey what we mean by feeling tired, fatigued or exhausted. This article explains a typical day in my life before I was optimally treated for my hypothyroidism and Hashimoto’s and addressed my adrenal fatigue. 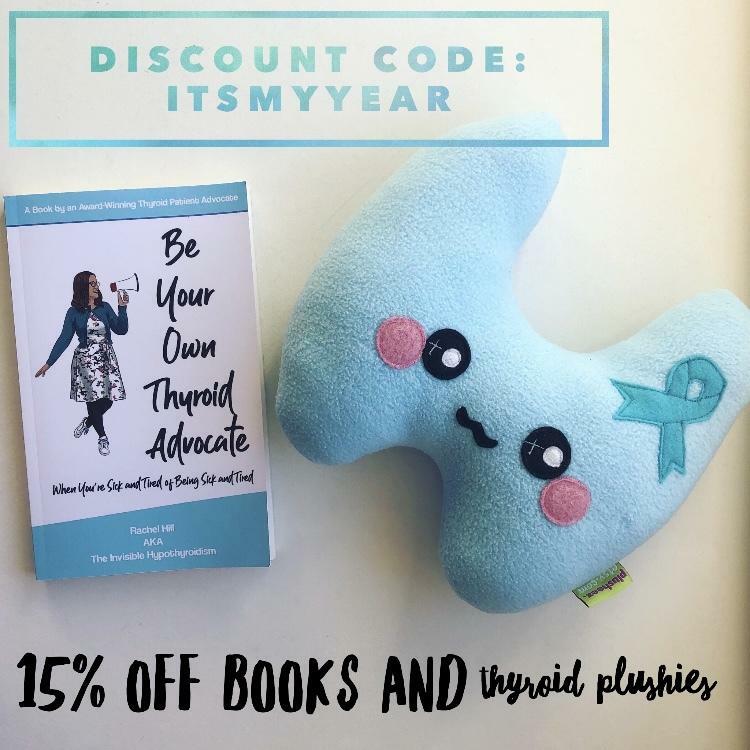 15% off signed copies of my book “Be Your Own Thyroid Advocate: When You’re Sick and Tired of Being Sick and Tired” and super fun thyroid plushies. Use the code “ITSMYYEAR” at checkout to claim 15% off. Expires midnight (GMT) on 31st January. Let 2019 be YOUR year and take back control of your health. My book covers how I got my health back with thyroid disease and am finally thriving again. As always, you can find my articles, blogs and work on TheInvisibleHypothyroidism.com, with more information in my book. You can also keep in touch via my Facebook page, Instagram, Twitter, Pinterest and Google+ to ensure you never miss anything.